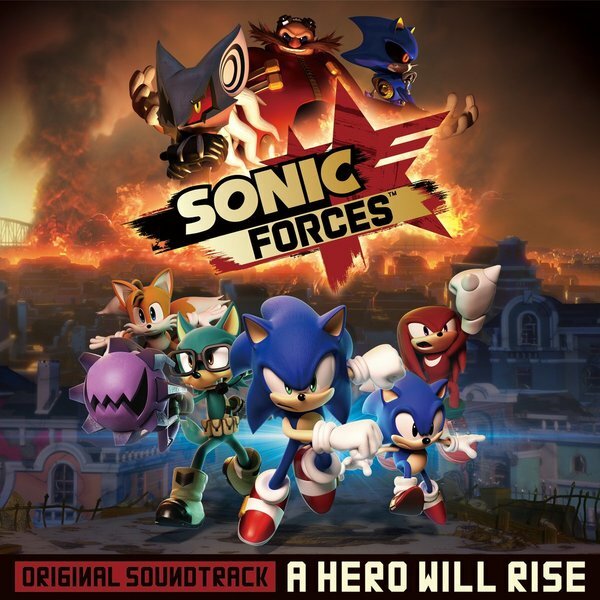 Looking to enjoy some of the Sonic Forces tunes outside of the game? As of today, you're able to give the soundtracks a listen on Spotify, Apple Music, Google Play and more. This includes both the original soundtrack and the 'Vocal Traxx' albums. Well that solves that mystery. 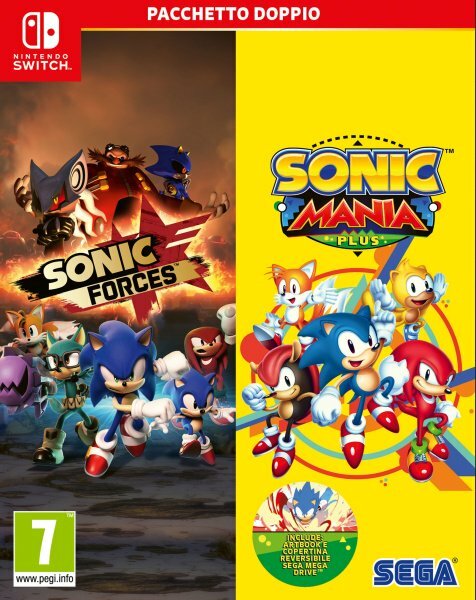 Amazon Italy has updated their Sonic Double Pack listing with cover art, and now we know for sure that Sonic Forces is the game being bundled up with Sonic Mania Plus. Still no word on this retail double pack seeing release in North America. Wayô Records, the Paris-based record company specializing in video game and visual media music, is proud to announce the release of the international edition of the Sonic Forces Original Soundtrack – A Hero Will Rise in collaboration with SEGA & Wave Master International. Featuring music from the 2017 hit title, this exclusive 3-disc collector box set is a must-have for all fans of the legendary blue hedgehog! 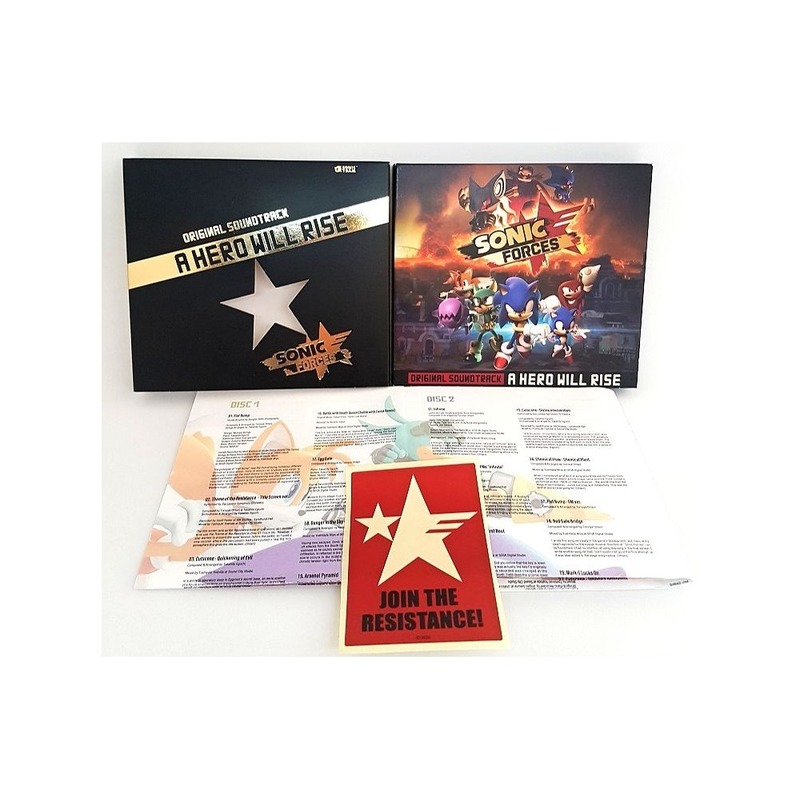 A Wayô Records exclusive, this international release contains 87 tracks from the Sonic Forces video game, including the main theme "Fist Bump" composed by series veteran Tomoya Ohtani and performed by Douglas Robb (Hoobastank), "Theme of Infinite" by Tyler Smyth and Andy Bane (DangerKids), and many more amazing pieces—some of which are performed by the world-famous London Symphony Orchestra! The deluxe Digistack box set also comes with an exclusive Resistance bonus sticker and a Sonic booklet poster featuring comments from the composers and lyrics, fully translated in English. I still haven't played Sonic Forces. I own the game, and I fully intend to give it a whirl, but I just haven't gotten the chance yet. It doesn't help that I feel like I'm not missing out on much. Can anyone tell me why I should make a point to get to it as soon as possible? In this episode we check out the crazy glitches in the latest Sonic outing, Sonic Forces. Hey, at least the glitches are fun...right?! In this episode, Did You Know Gaming takes a look at some Sonic Forces facts, secrets, Easter eggs and history! 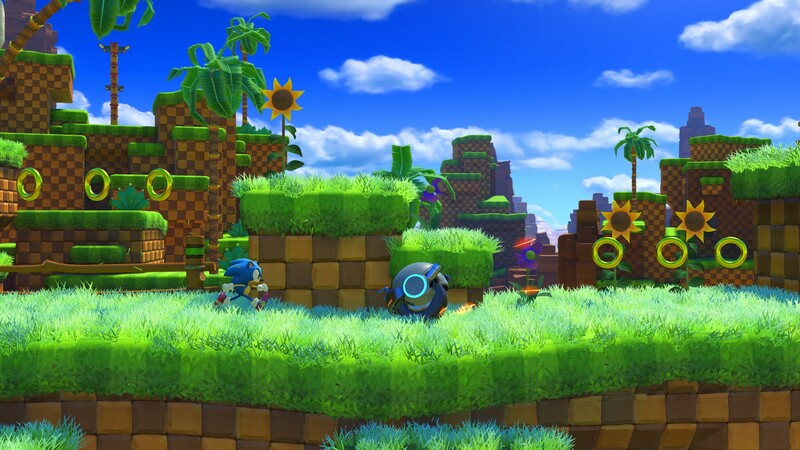 Sonic Forces was developed by Sonic Team and published by Sega for PC gaming platforms, the Nintendo Switch, PlayStation 4, and Xbox One, and actually borrows some elements from Sonic Mania. The game's story sees Sonic joining a resistance force to stop Doctor Eggman, and allows the player to create a custom character with the game's character creation tool. 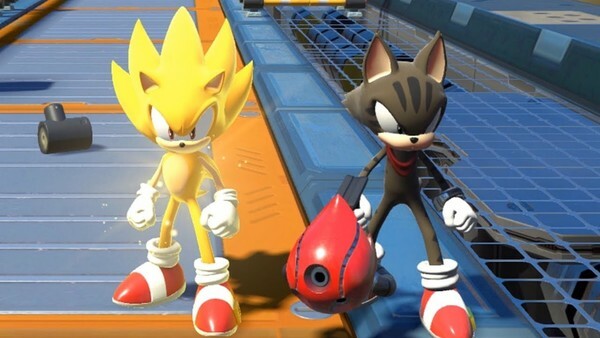 Through our analysis of the game, its gameplay and beta builds, we hope to show some of the more interesting facts from the making of the Sonic Forces and have its history explained. SEGA says Sonic Forces "performed strongly"
While we don't have specific figures on the sales of Sonic Forces, it does seem that SEGA is happy with the game's reception at retail. In their latest financial results report, SEGA states that Sonic Forces has "performed strongly" in the sales department. Hopefully SEGA gives more concrete details on sales soon. Thanks to Lars for the heads up! Take a look behind the scenes of the Sonic X Tempest freerunning event, where gaming YouTubers and parkour experts joined the uprising against Dr Eggman and going through some physical challenges. Looks like the DLC is the real deal. 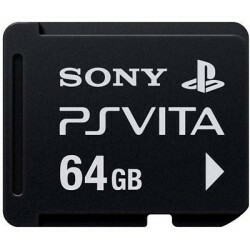 It should be releasing in North America tomorrow. It seems the DLC might be live in some parts of Europe!